Following its leak last week, Sony has today announced the Xperia M5, the successor to the Xperia M4 Aqua which comes with a more impressive camera. The Xperia M5 has a 5-inch Full HD display, waterproof omnibalance design and a new 21.5MP Hybrid Autofocus camera. Sony is dubbing this handset as a ‘super mid-range’ phone, presumably in a bid to set it between the mid-range and the high-end flagship tiers. The dual cameras are the key unique features for Sony’s latest mid-range handset and – on paper, at least – they certainly could be, especially compared to other cameras in the mid-range market. The camera reportedly uses a hybrid autofocus system to allow the handset to focus in a quarter of a second and also offers f/2.2 aperture and up to 3200 ISO. The 13MP front camera is what most phones usually have on the back but unlike the Xperia C5 Ultra that it was announced alongside, the Xperia M5 does not have a front selfie flash. The 64-bit octa-core Helio X10 should deliver in the performance department and is more than worthy of a mid-range handset while Sony claim that the modest 2600 mAh battery will keep the Xperia M5 ticking for two full days, although – as always – this is subjective to your actual usage. Sony says the Xperia M5 will launch in emerging markets in the next few weeks and has yet to reveal how much it’ll cost and whether it will launch in western markets. On paper, the specs should appeal to most customers and Sony could gain by bringing this to developed markets at a reasonable price tag. The handset will be available in black, white and a blinging gold with actual availability likely to vary by market. 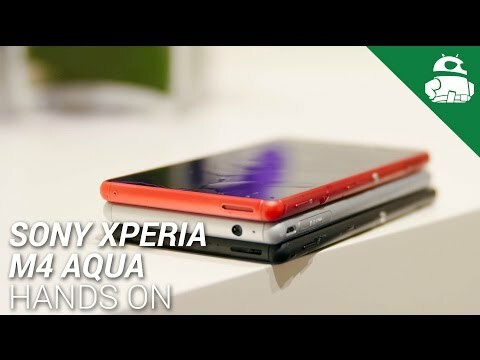 London, 3rd August 2015 – Sony Mobile Communications (“Sony Mobile”) today reveals two new smartphones with the introduction of Xperia C5 Ultra and Xperia M5 to its impressive range of devices. Offering advances in camera, design, battery and performance, the products support Sony’s leadership in the smartphone market. Starting with the Xperia C3, Sony Mobile has been the front runner to address the digital native’s need with our PROselfie offering. Xperia C5 Ultra incorporates an industry first twin 13-megapixel front and rear camera, which offers stunning high-resolution imagery. Whether you’re shooting incredible scenery or taking a selfie with friends, your images are always captured in crystal clear quality. Both cameras include Sony’s leading Exmor RS™ sensor, HDR for picture and video, and an easy to use preset Auto scene recognition mode that analyses and adjusts settings automatically to give the perfect results every time. Selfies are also enhanced with the integration of Sony’s enhanced Selfie Flash that supports the front camera and lightens up more of the frame to ensure every part of your photograph’s beauty is captured. The device’s 22mm wide-angle lens also means that you can fit more in the frame. Unleash your creativity with a host of Selfie camera applicationsthat are available to download. Xperia C5 Ultra provides a high quality viewing experience, with its large display, complete with a super-thin bezel for a near borderless display. The large 6” Full HD display with IPS featuring Sony’s TV technology Mobile BRAVIA® Engine 2 lets you enjoy your videos and pictures in the finest detail. A one-handed operation mode is also available to help you easily use the device with options for both right-handed and left-handed users. With an aluminium frame and three colour variations, including black, white and a glossy soft mint, Xperia C5 Ultra offers a premium design, whilst allowing you to showcase your individual style. Sleek, stylish and a comfortable fit in the hand, Xperia C5 Ultra feels as good as it looks. Following Xperia M4 Aqua’s success in raising the bar and defining the “super mid-range” with its camera leadership, Xperia M5 has an even more impressive 21.5MP rear camera that lets you snap extraordinary moments like a pro. When you can’t get near enough to your subject, 5x Clear Image Zoom allows you to get close without losing any quality. What’s more, a host of camera applications elevate your selfies to the next level – including Face in picture, AR mask and Style portrait. Boasting a sharp, bright and vivid 5” Full HD display, your favourite Sony entertainment will really come to life. Mobile BRAVIA® Engine 2 gives you enhanced sharpness and contrast for immersive viewing, whilst IPS ensures excellent viewing at any angle and accurate colours from edge to edge. Unique like our flagship devices, Xperia M5 is also waterproof and dust-tight(3), with a capless USB port for added convenience and easy charging. With a waterproof smartphone, you don’t need to worry if your device gets dirty, just rinse it off under the tap. It is also protected against accidental splashes, so you can use your Xperia M5 under the rain or shine, wherever you are. Xperia M5 integrates a large 2,600mAh battery offering up to two-days battery life(1), so you don’t have to worry about charging your phone every day. An impressive 64-bit 2.0 GHz Octa-core processor powered by MediaTek Helio X10 with 3GB RAM provides amazing performance and speed to optimise your battery life. Meanwhile, ultra-fast smartphone connectivity is enabled with 4G, for quick downloading of audio and video content. Both Xperia C5 Ultra and Xperia M5 also have an expandable memory with up to 200GB uSD card and the devices are available in both Single and Dual SIM variants. Xperia C5 Ultra and Xperia M5 will be available in selected countries across emerging markets from mid August.